Large enough for most smart phones! Small but versatile, the Kelley® Zippered Belt Pouch will come in handy and look great doing it! 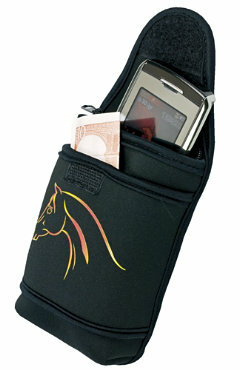 This pouch slides easily over your belt and holds more than just a phone! It features a zipper compartment perfect for a cell phone plus and additional side pocket. The Zippered Belt Pouch measures 3 1/4" x 5 1/4".